Kendrick Lamar is so much more than a rapper; he’s a poet, a philosopher, and as he’ll tell you himself, a king. And he’s also spoken for. 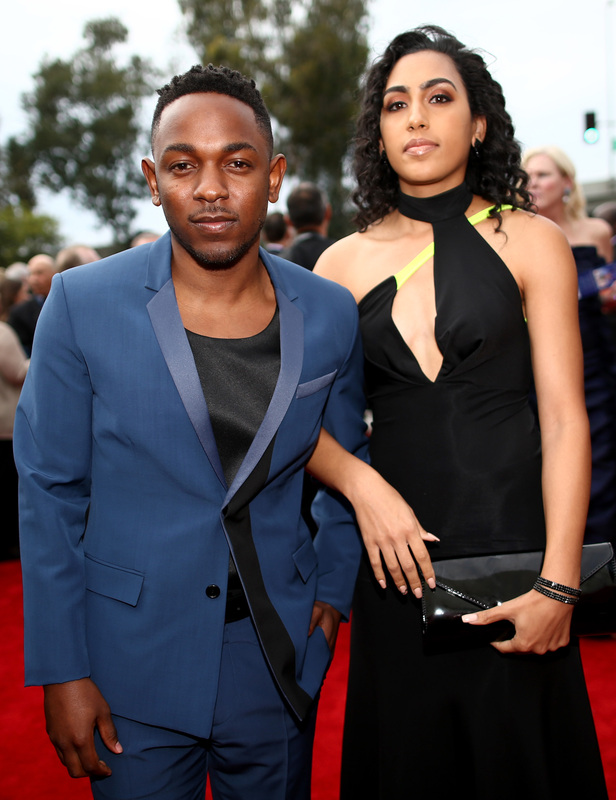 Kendrick Lamar confirmed his engagement to Whitney Alford, his longtime love, in April 2015. And he did so in the sweetest way possible: with a little bit of verse, saying he was “loyal to the soil” in an interview on The Breakfast Club. Leave it to Lamar to bring poetry to everything. But how did K Dot and his wifey-to-be meet? Lamar and Alford are high school sweethearts, and they have been together ever since. Cue the waterworks. The 28-year-old musician and Alford met when they were both students at Centennial High School in their hometown of Compton. (Among Centennial’s other famous alumni is Dr. Dre, an early inspiration to Lamar who later became his mentor when Dre signed him to his label, Aftermath Records.) Alford and Lamar are a decade strong! The engagement confirmation broke a lot of hearts, including my very own, but it was so tender and so Kendrick that I can only feel love and happiness for him. In addition to saying that he was "loyal to the soil," Lamar explained to The Breakfast Club, "At the end of the day you want to always have real people around you, period — whether male or female." And the sweetness didn't stop there. Lamar told Billboard in a cover story in January (before he dropped his mind blowing album To Pimp A Butterfly) that his love for Alford went beyond basic labels. "I wouldn't even call her my girl," he said. "That's my best friend. I don't even like the term that society has put in the world as far as being a companion — she's somebody I can tell my fears to." Help me, I’m sobbing. It makes sense that Lamar and Alford have been together since their high school days. K Dot’s material is thick with reminiscing and reflecting on his high school experience at Centennial, where he felt like an outsider, failed PE, saw gang violence, feared police brutality, and struggled with poverty in his family. Lamar quit drinking and smoking when he was 16 or 17, and that’s when he really committed to the rap game. And Lamar has become the King of Commitment, in his art and in his life. He’s stayed close to his hometown of Compton; he and Alford live together in nearby South Bay. In the Breakfast Club interview, Lamar said, "Everybody that's been around me, they've been around me since day one... I always show respect where respect's been given and people that been by your side, you're supposed to honor that." Lamar and Alford have been together since before he was the King of West Coast rap, and I trust that they’ll be together forever.